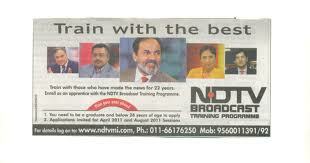 In January 2011 NDTV carried a recruitment ad in newspapers - Train with the best. The line below the picture reads: "Train with those who have made the news for 22 years. Enroll as an apprentice with the NDTV Broadcast Training Programme." “NDTV is shocked to report the behaviour of UPA’s Mr. Perv who had the audacity to insult the modesty of one its female journalists with sexual comments. We consider this behaviour outrageous and have filed a complaint with the NCW and the Ministry of I&B and have demanded strong action. We choose not to disclose the name of the journalist to protect her privacy and self-respect but will not rest till this politician is arrested and prosecuted. We would like viewers to know that this politician has a history of such behaviour and it’s time to put such people out of business”. But sorry, that was never heard on that channel. I have to assume that Barkha Dutt, as group editor of NDTV, would be Sunetra’s boss. Sort of explains the relief she talks about. Next, read the line closely where she says “unlike many other journalists, I am not on back-slapping terms with any politician”. There’s your probable reason why neither NDTV nor any other prominent journalist has stood up for her or backed her to have the culprit named and punished. I have good reason to believe that the line also talks about journalistic culture at NDTV since Sunetra would clearly know more about the equations of her own peers at NDTV with politicians rather than other journalists at other channels. I am sure if Sunetra reads this line of hers again she will realise she has unwittingly exposed most media celebrities and the doctored news they peddle or how they crawl up to their political bosses. Her article seems to contain a few hints that could identify the offender. In contrast Sunetra’s boss, Barkha, couldn’t stomach even strong and fair criticism by a blogger. (“Shoddy Journalism” by Chaitanya Kunte on Barkha Dutt’s 26/11 coverage). NDTV initiated legal action against the blogger to pull that article and render an apology. 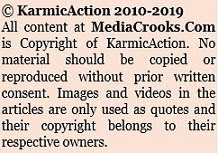 Again, when Radiagate broke with Barkha Dutt accused of involvement in power-broking she and NDTV threatened “appropriate action” against Manu Joseph’s Open magazine. Ever since it has been downhill for NDTV and I am surprised this channel even survives. I believe any other journalist in Barkha’s place would have been fired. Train with the best! Indeed! “I realised from the overwhelming response how it wasn’t about me but about lakhs of people who form half of our workforce…” For a start, I don’t think many of those lakhs of people are really in as powerful a position as a journalist from a TV channel is. I doubt DNA or any other newspaper would give those people an inch to write about their experience. I am a bit surprised Sunetra cannot see this difference. There is a reason those lakhs of people are expecting a different response from her. “I didn’t know how to tell all of them that this ‘Pervy Politician’ was just one of the many I had encountered, and so I felt it was a bit unfair that I should out just him. I didn’t know how to tell them that some of the others had been much worse, and I was lucky that I didn’t feel too scarred by any of them, but I knew many women who probably were, and didn’t have the space to express themselves..” That doesn’t seem to be sound logic. That it would be unfair to previous offenders she had encountered if she had outed this man. Go ahead, out them all. Furthermore, it hardly does anything for the many other women who she implies were ‘scarred’ by such experiences. And the worst part is, it also clearly indicates that this wasn’t her first experience and she has suffered this silently all this while. Here’s the dangerous part – by logic and implication it also indicates that she may take future incidents of this nature in her stride too. Why is NDTV silent on all of this? Is this some private matter of their journalist and not something she encountered in her line of duty? Sunetra then talks about a sexual harassment panel for such experiences. “My organisation does have one of those, as a matter of fact, and it is a fairly active panel as well…..I just want to point out that I didn’t even take this ‘Pervy Politician’ issue to my editors and they would have read about it like everybody else did. I wasn’t hiding anything, it’s just that, at the time, I was too busy doing my work to report anything else”. These are really stunning revelations. NDTV has a sexual harassment panel but she couldn’t or didn’t take it up with them? And that her editors would have heard of the incident just like everybody else from her DNA article? What is amazing is that for an incident that rankles so much she even says she was too busy doing her work to report anything else. Well, if a few days later if it was worth taking up and writing in DNA why not take it up with the NDTV panel as well? Alright, she says she didn’t take it up with her editors. Well, after her first article on July 10 did her editors call her and ask her about the incident? Did they say they are going to take some action? One can safely presume there might have been a discussion on it between NDTV and Sunetra. My expectations of NDTV are very low, but surely, even at NDTV editors can’t be that dumb to notice a sensational article by one of their journalists and simply not even talk about it. Was that the case? She says even politicians called her and offered help. Nobody from NDTV or the NDTV sexual harassment panel called up? Surely, if not the name of the offender, Sunetra must reveal how her organisation responded. Else this saga of working in one media outlet and complaining in another can be seen from many different angles. 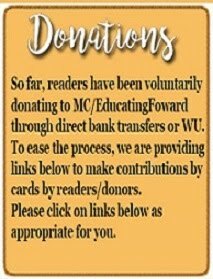 Sunetra doesn’t want to name the offender but at the end of the article she leaves you with what looks like another hint: “I should mention that I’m probably going to be bumping into the perv soon. It’s inevitable with me being a political journalist, isn’t it? There’s a planned public event where he’s slotted to appear and I admit, that there’s a part of me that’s very scared about meeting him again. But then I remind myself, I have done nothing wrong and if anything, it’s the perv who should be hiding, not me”. Well, if that perv is going about public events like a routine it doesn’t seem like he’s hiding or even about to hide. Sunetra is currently on holiday since her first article in DNA. If and when she returns let’s see what happens to this whole episode. If she is scared of meeting this politician again as she has stated it is clearly time NDTV realised what they are putting their journalist through. And what can I say about NDTV? Train with the best? Experience truth, first? Perversion of truth? In her latest article on Hindustan Times website Barkha Dutt quotes The Gita line “dishonour is worse than death”! NDTV should know all about dishonour, I suppose. If one cannot name the enemy, how do you expect to fight him? These UndieTV morons are just too much. Before and after completing the UndieTv journo course, all passouts should have a compulsory medical test to check for any signs of spine and grey matter decay. I am surprised that she even came up with a second article on this.Did she even read what she wrote,its rubbish.!! ""Train with those who have made the news for 22 years. -NDTV Ad."" Burka Dutt- "dishonour is worse than death"
F'got the Radia episode so soon, How about the India Gate issue. NDTV made a big issue when a JNU student drove Barkha off India Gate during the Anna Hazare fast. They even blame him for mibehaveing with one of the Lady employee of NDTV. What a bunch of lowlife. You people are going down and sinking fast. Sorry, I know it is irrelevant to the post. It's 2 years since the incident, she still works for the same channel! And appears comfortable.